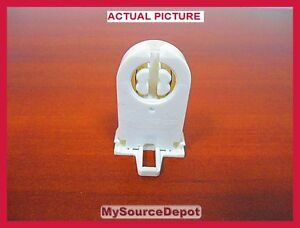 6- FLUORESCENT LIGHT BULB SOCKET 2 PIN T12 T10 T8 / SHUNTED TYPE / HEIGHT 1.5"
THANKS !!! FAST SHIPPING GREAT ITEM THANKS !!!! Excellent product and seller couldn’t have asked for more!